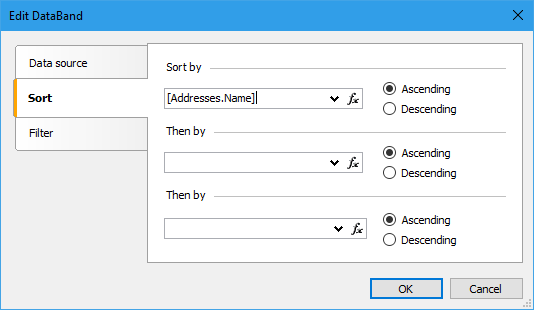 How to make a csv file conversion: remove columns, sort, filter - Fast Reports Inc.
MS Excel spreadsheet editor handles editing CSV files perfectly. You can sort and filter data, remove unnecessary columns, add numbering etc. But what if you do not have a spreadsheet editor? Editing a CSV file becomes a nightmare. One has to track the delimiters to understand what column this or that data refers to. Process of sorting in general becomes almost impossible, especially when working with large amount of data. How can this situation be solved? We have FastReport.Net or FastReport Desktop, so we can use CSV as a data source for our report. First, inside the report, perform data conversions. Then, export back to the CSV file. 4. 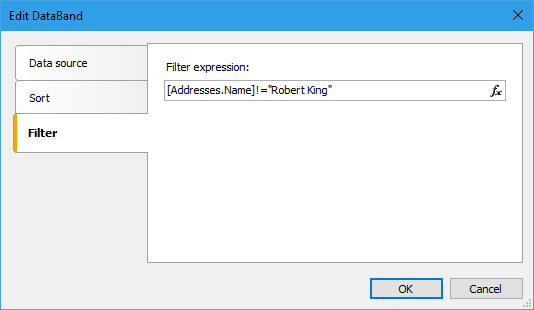 Remove the surname Robert King from the data set. Create a new report. Add a new CSV data source file. As it is seen, we used a regular expression to select the data before the comma. So, we removed the ZIP column, sorted the list by name, divided the address into a city and street, removed the line for the name Robert King. Now let us export to CSV. For this, in the preview mode press the button: . As you can see, it was accessible to convert a document using FastReport. It is commensurate with work in Excel in time. Thus, FastReport becomes an alternative tool for processing CSV files.